Located in a the active and vibrant Ala Moana, employees and guests are treated to an incredible surrounding atmosphere. This location comes with incredible access to local restaurants, shopping options and is within walking distance to local parks and the beach. This fully equipped center comes with everything a growing business could ask for in order to be successful. 24-Hour access assures that any job can be completed when needed. 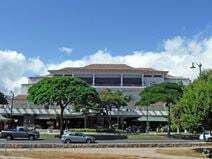 This Honolulu business centre within easy reach of every amenity offers a great place to do business with a high grade building with great surroundings. This centre is located on a large developed complex close to the Water from Plaza. Ideal for mobile workers this collaborative workspace is specifically designed for professional on-the-go. Opened in 2016, this is one of the first collaborative workspaces in Kapolei and is located in a busy shopping center. This is one of the first collaborative workspaces in Kapolei, opened in 2016. Due to the massive increase in "on-the-go", mobile workers this centre will expand to other cities and markets throughout the US. This exquisitely furnished business center location was officially opened in early 2015 and provides some of the region's most exclusive and executive quality turn-key office suites on the 27th floor of this stunning landmark office tower located in Honolulu's Central Business and Financial District that provides panoramic views of Honolulu Harbor, Sand Island and Mamala Bay are close hand along with the area's fantastically convenient transport connections. 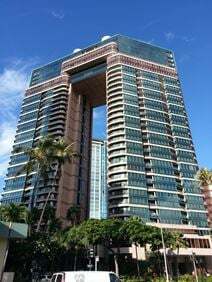 This building close to Waikiki and to all shopping and dining amenities of Kalakaua Ave. The facility includes residential apartments and also offers fantastic Ocean and Mountain views from offices.